Went and watched Seattle's Resolution Run and Polar Bear Dive on the 1st. 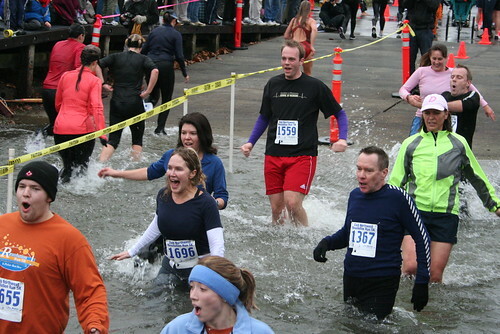 "A plunge into slate-gray, 42-degree Lake Washington might not be everyone's way to celebrate the new year, but for hundreds of runners Thursday, it was just the thing. But that seemed to be just the right idea." And if you check out picture number 6 in their photo gallery, you can see my silhouette just behind the guy with the hat.